Before James Heddon and his tackle company, it all began for the Heddon's at the Huxtable Farm in West Buckland, North Devon, England. 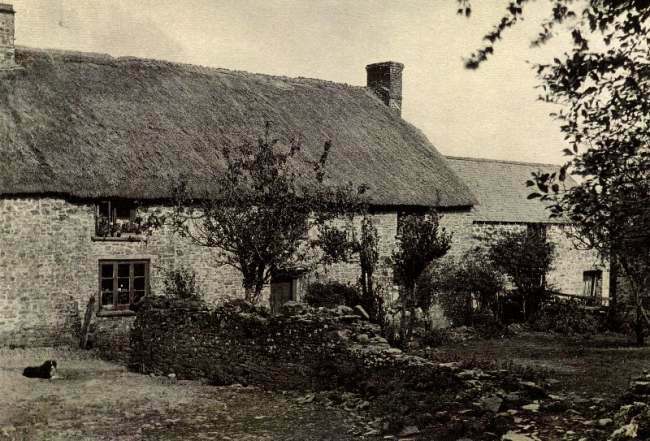 Records at the Devon Record Office, England show that Thomas Heddon was a tenant farmer and lived at the Huxtable Farm. It was here in North Devon in 1330 that the Huxtable name originated. Huxtables' occupied the Huxtable Farm until c.1674. In 1711 Richard Nott sold the Huxtable Farm to James Buckingham as part of a marriage settlement. Buckinghams owned the Huxtable Farm until 1767. In 1777 the farm was willed to Mr. Hill a Buckingham son-in-law. On January 9, 1797 the Huxtable Farm was sold to Hugh Fortescue for the amount of £1,650. When Hugh Fortescue purchased the farm in 1797, John Passmore was the tenant. At the Exeter Record Office there was a discrepancy which showed the 1798 land tax assessment that Thomas Headen was the occupier. Thomas Heddon was born in Devonshire, England either in 1775 or 1778. On March 25, 1815 there was a first indenture of £85 between Thomas Heddon and the Earl of Fortescue and in 1822 there was a second indenture of £65. The decrease in rent does agree with the agricultural depression the first part of the nineteenth century. After the French Wars in 1815 prices had dropped and times were very difficult for farmers. England went through a agricultural depression the first part of the nineteenth century. Many farmers revolted against the allowance system of poor relief. Thomas and Mary Heddon gave birth to their only son, Richard in 1818. Because the agricultural economy was doing so poorly it is clear to see why Thomas Heddon searched outside England for a better life for himself and his family rather than a tenant farmer. We know from Land Tax assessment records that Thomas Heddon was still living at the Huxtable Farm in 1831. There was a newspaper clipping dated February 13, 1832 for the sale of Thomas Heddon's belongings at the Huxtable Farm so it is safe to say that Thomas Heddon left the Huxtable Farm in 1833 as his great-grandson Charles Heddon stated. Thomas Heddon along with his wife Mary and son Richard immigrated to the United States in 1833. The Huxtable Farm surrounded by open fields and woodlands rests in the foothills of Exmoor National Park. There is a stream that runs through this 80 acre property. This medieval Devon longhouse is mostly supported by sheep and many other wildlife animals. Some of the farm buildings have been converted but the farm still gives an impression of a traditional North Devon farmstead. There is a two story building on the west side of the yard which could have been a granary at one time. The barn has two wide central doors that open into the threshing floor. The basement has three doorways which lead onto the former yard. The farm buildings are mostly built of local stone. The farmhouse is built of local stone rubble but some of the older parts have cob walls. The farmhouse has a newer slate roof that replaced the original thatch roof. The front of the farmhouse has a three window front of twentieth century timber window casements. A large amount of the original late medieval house is still present in the entrance hall of the house, kitchen, living room and bake house section. 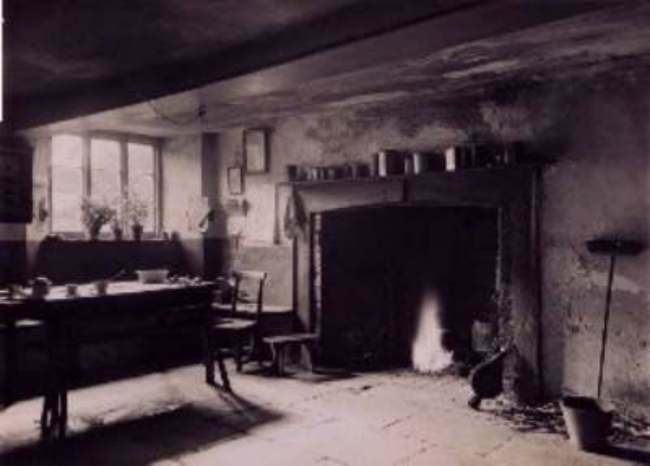 What happened at the Huxtable Farm after Thomas Heddon left the farm in 1833. Next the farm was followed by three generations of the Slader family. From the 1841 census we know that John and Mary Slader along with their four sons and three daughters lived at the Huxtable Farm. The tenancy was in John Slader's name. John and Mary Slader now in their sixties died in 1862 and 1865 respectively. The 1881 census recorded Thomas Slader, wife Mary and their four children living at the Huxtable Farm. Their youngest daughter Alice died in 1886. The 1891 census showed the same family living at the farm, Thomas, wife Mary, daughter Mary and sons, John and Fred. After his wife Mary died in 1893 Thomas and his eldest son lived at the farm. John Slader was still single and took over the farm. John Slader married Elizabeth Seldom in 1911 and became the third generation of Slader's to live at the Huxtable Farm. In 1939 John Slader now over seventy years of age was ill and became bed ridden. In 1940 the Ministry of Agriculture forced farmers to grow a specific acreage of corn. This was only accomplished at the Huxtable Farm because neighboring farmers ploughed and seeded the land. The land was in such poor condition that no crop grew by Lady Day 1940 and John Slader was evicted and carted off the farm bringing a hundred years of the Sladers as tenants to an end. It was written when Fred Ridd took over tenancy in 1943 that the Huxtable Farm was in such poor condition that the rent was only £75 per year. Fred Ridd, wife and son Fred along with the help of a land girl named Doreen Cass worked very hard to get the land back in shape. Fred Jr. married Doreen Cass in 1943 and had two daughters together. Fred Sr. died of cancer in 1948 at the age of 67 and Fred Jr. then took over the tenancy. Life for the Ridd family was difficult at the farm with no electricity or bathroom. The farm had a primitive kitchen but in the 1950's they received help from a grant. A bathroom was installed, water mains put in and in 1960 electricity was supplied. In 1970 the Fortescue family had to sell the farm to pay for death duties. This was the first opportunity the Ridd family had to purchase the Huxtable Farm. They were successful and on July 17, 1975 the Ridd family signed papers to purchase the farm. Fred worked hard and in the 1970's the farm reached it's maximum output. The Ridd's now had 14 cows, 120 ewes, 150 lamps and 6 steers. A study revealed that this 80 acre farm could not increase in stock. The Ridd's decided to reduce the dairy herd and a slow decline in the business began. In 1980 Fred Ridd decided to sell Huxtable Farm. Dr. Freddie and Barbara Payne made a deal to purchase the Huxtable Farm from the Ridd's on August 9, 1980. The Ridd's left Huxtable Farm on December 6, 1980. Dr. Freddie Payne was a consultant at the North Devon District Hospital and Barbara Payne was a counselor at one of Barnstaple's comprehensive schools. A few years later they both retired and to help with the finances of the farm Freddie and Barbara Payne started a Bed and Breakfast business. Antony son of Freddie and Barbara Payne had just completed a four year O.N.D. Agricultural course at Seale Hayne College. Antony was on a seven month trip to New Zealand when Freddie and Barbara purchased the Huxtable Farm. Antony met Jackie Devereux, a teacher at South Molton Comprehensive School. Antony and Jackie were married on August 3, 1985 and as a wedding gift Freddie and Barbara Payne gave Antony and Jackie 40 acres of Huxtable land. Antony and Jackie had four children, Nigel Frederick (born October 1986), Natalie Mary (born December 1987), Henry Benjamin (born February 1990) and Evette Veronica (born May 1991). In 1987 Freddie and Barbara gave Antony and Jackie Payne the remaining 32 acres of farm land and the agricultural buildings. On October 1, 1987 Antony and Jackie took over all the farm accounts. In 1983 they developed the tourism side of the farm. The farmhouse holiday trade business developed quickly. By 1990 their holiday business was booming. Freddie, Barbara, Antony and Jackie became partners. Freddie and Barbara were now semi-retired but played a vital role in growing the fruit, vegetables, jam, wine making and keeping up the beautiful gardens. The Huxtable Farm now became V.A.T. registered. In 1991 there were fierce winds that caused much damage throughout England. The winds caused considerable damage to the Huxtable Farm. 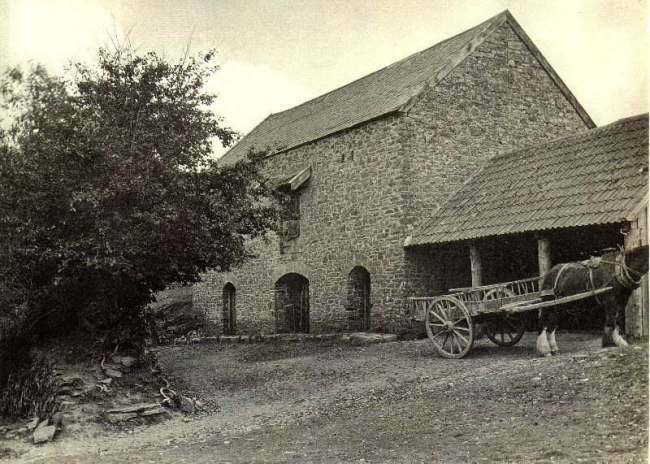 Slates were blown off the roof of the farmhouse and barn. The kitchen roof was blown off and smashed glass was everywhere. After Huxtable recovered from the storm the holiday trade continued it's success. Huxtable was recommended and entered in two well known publications, Which Good Bed and Breakfast Guide and Elizabeth Gundrey's Staying off the Beaten Track. The English Tourist Board introduced a quality grading system and Huxtable received a high quality rating. In 1992 Huxtable hosted a Tourist Board Inspection of their local farm holiday group. Also that same year a Belgian film crew visited Huxtable to make a film for a holiday program broadcast in Belgium. The film was centered around Agatha Christie with a lot of the film shots in and around the farmhouse. Antony & Jackie Payne are the host of the Huxtable Farm today. This beautiful 80 acre Bed & Breakfast Farm is surrounded by open fields and woodlands. It has all the modern facilities along with many original features. This beautiful Medieval Devon Longhouse dates back to 1520. The above Huxtable Farm photograph, the 1930 Huxtable Farm photographs and the1832 Newspaper Clipping are the courtesy of Jackie Payne of the Huxtable farm. After the Heddons Immigrated to the United States in 1833 : The Heddon family settled in Stafford, New York in Genesee County where Thomas Heddon continued to farm. 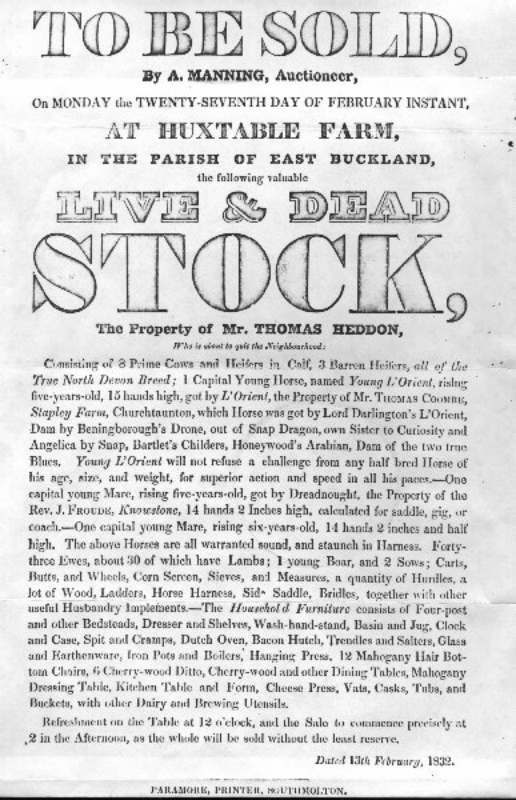 Thomas Heddon died on November 14, 1839. Richard Heddon married Elizabeth Tuttle when they lived in New York. They gave birth to James, their only child on August 28, 1845. Almost five years later in 1849 Richard Heddon moved his family to Keeler, Michigan. When James was 15 years of age the Heddon family settled in Dowagiac located in Southwestern Michigan about 10 miles south of Keeler. The name "Dowagiac" came from a Potawatomi Indian tribe word "Ndowagayik" which when translated means "Foraging Ground". The Indians named it this because this area had an abundant supply of wild game and supplied shelter and food for the tribe. The Treaty of Chicago was signed in August of 1821 and the Potawatomi, Chippewa and Ottawa tribes surrendered the land know as Cass County to the United States. The first permanent white settlers arrived in Dowagiac in 1824. The Dowagiac Creek gave birth to Dowagiac when William Renesten established his carding mill in 1831. Two years later he dammed the creek and created the millpond. In 1833 William Renesten built his grist mill and a year later in 1834 he sold it to Holmes Spaulding. In 1860 Spaulding sold the grist mill, known as the upper mill to Horace Colby. Colby also owned another grist mill a quarter mile downstream , known as the lower mill. Waterpower supplied by the Dowagiac Creek was important to Dowagiac manufacturers for years to come. The creek supplied power for the Colby Mill, saw mills, a plug tobacco company, a foundry, a chair company, a feed mill and a cider producer. Arad C. Balch became the first postmaster of Dowagiac in October of 1848 and also the Michigan Central Railroad came through that same year. When the railroad came through in 1848 they gave Dowagiac it present spelling. Dowagiac was incorporated as a village in 1867 and a city in 1877. James Heddon fishing experience goes back a lot further than the millpond days when James whittled his frog and tossed it in the mill pond. In the 1860s James and his father went on many fishing trips to Magician Lake, six miles northwest of Dowagiac during the winter months. They would use ice decoys that Richard Heddon hand carved himself. Today, several of these pre-Civil War nine-inch decoys are displayed in the Heddon lure exhibits. Early photo of the old mill and mill pond at the Dowagiac Creek. Now renamed as the "James Heddon Memorial Park". Richard continued to farm just as he learned from his father Thomas Heddon. It was here in Dowagiac that Richard Heddon started raising bees and producing honey. Beekeeping was a popular business in the middle 1800s and by 1869 Richards Heddon's bee business became a successful and profitable business. In the 1880s Richard Heddon had many other interest's and he held many positions such as a Dowagiac Fire Inspector, Mayor of Dowagiac, Dowagiac tax collector, member of the school board and in his later years he was a landlord who rented, purchased and sold properties. Richard Heddon was known as a kind and generous man. When Richard was a tax collector he was known to help citizens pay their taxes if they were unable. Richard Heddon passed away on August 9, 1900 at the age of 81. Elizabeth Heddon died several months earlier on February 2, 1900. Richard and Elizabeth Heddon both were buried in Dowagiac, Michigan. On February 13, 1869 James Heddon and Eva Hastings were married. Eva was the daughter of Charles Hastings a successful beekeeper. James then worked as an apprentice with his new father-in-law. Few showed the dedication towards beekeeping than James Heddon. By 1870 James launched his own beekeeping business. 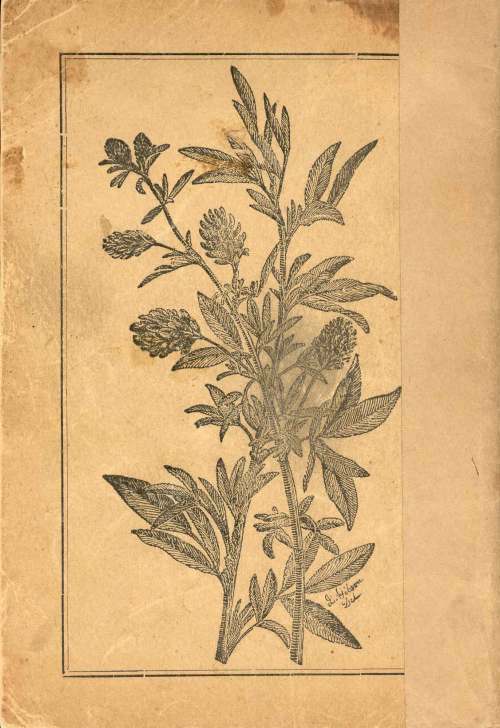 In 1885 he published a detailed book "Success in Bee Culture and Advised by James Heddon". In this book he describes his plans of bee-management with his description of the Heddon Bee Hive that he invented. His hive had a removable frame which allowed the combs to be reversed. By now James Heddon beekeeping business was a huge success and had become one of the largest honey producers in the country. Front Cover of "Success in Bee-Culture as Practiced and Advised"
Rear Cover of "Success in Bee-Culture as Practiced and Advised"
The Heddon School of Apiary was established to teach new beekeepers the best methods in beekeeping. At this time James Heddon was president of the American Beekeepers Association. James Heddon packed his honey in his own container. These containers were made of clear glass and the jar lid was embossed with "JAS Heddon Dowagiac Mich" with the word "Honey" in the center. Just as the Bee-Culture book these jars are extremely rare and only two honey jars have surface as of today. Beside the Heddon hive James was credited with other inventions. He invented the Heddon Surplus Case and the Slat Honey-board. He was also known as the father of the "Pollen Theory". In 1895 James Heddon was profiled in the ABC of Bee culture by A. I. Root. Amos Ives Root was known as "the father of modern day beekeeping". In 1869 Amos Root founded the A. I. Root company and manufactured a beehive that allowed beekeepers to harvest their honey without destroying the colony of bees. The Root Company honey and beeswax business turned into candle making in 1928. James Heddon was a lot like his father and also served as Mayor of Dowagiac for two years starting in 1888. He was recognized with the growth and improvement of Dowagiac. He took part in the institution of the water works and electric light system in Dowagiac. James Heddon was the editor and publisher of the "Dowagiac Times". James and Eva Heddon had three children, two boys and a girl, Will, Myra and Charles. Charles was the youngest of the children born in 1875. Charles was interested in billiards and became a accomplished player and held the amateur world championship title. When Charles was still in his teens he started working at the Dowagiac Times with his father. Shortly after he was employed at the Dowagiac Times his father put him in charge of the paper. This is when Charles realized he had a talent for writing just like his father. In 1897 Charles started his own publication the "Dowagiac Daily News". At this time James Heddon, Charles Heddon and W. A. Stolley were editors of the Dowagiac pagers. In 1898 Charles took over all responsibilities of the paper and James Heddon continued as President of The Daily News Publishing company. There is little information available for Myra Heddon. At the time of her father James death in 1911 Myra was living in Dowagiac. Her married name was Mrs. Myra Custer. Myra Heddon was born in 1873 and died in 1939. Will Heddon born on July 14, 1870 was the oldest of the three children. At the age of 20 he worked as an electrician for the Dowagiac Gas and Electric Company. Will was much more adventurous and daring unlike his conservative brother Charles. He liked to hunt and fish and became interested in hot air balloons and parachutes. Mr. Hill was scheduled to make two ascensions during the exhibition at South Park, Dowagiac in the summer of 1891. Mr. Hill proposed to make the ascensions to test the new balloon just purchased. Will was looking for any opportunity to make a balloon ascension and he convinced Mr. Hill to let him go in his place. Will Heddon made his first Balloon Ascension and Parachute Drop on August 22, 1891 at Dowagiac's South Park. The large balloon was cut loose at 6 o'clock and when it reached a height of about 1 mile Will swung out and cut the rope that attached the unfolded parachute to the upper side of the balloon. Falling about 100 feet very quickly the parachute filled with air and Will made a beautiful dissension touching down about 1-1/4 mile from lift off. This was Will's first of 87 balloon ascensions and parachute drops. Around 1897 Will Heddon founded the Dowagiac Telephone Company. It became a very successful and profitable telephone company which was the first competitor of the large already established Bell company. Will then became manager of a larger telephone company in Kalamazoo, Michigan and eventually sold his telephone company to the Bell Company. With the profits from the telephone company Will made his father James Heddon a $1,000. loan to start the James Heddon and Son lure company. Thus the beginning of James Heddon and his tackle empire.